The BBC has begun filming a groundbreaking sitcom that will be the first to star a transgender actor. Boy Meets Girl was commissioned by the BBC after the script, by Elliott Kerrigan, won the Trans Comedy Award in 2013, and will be the first BBC comedy to feature transgender issues prominently, as it follows the developing relationship between 26-year-old Leo and 40-year-old Judy, who is a transgender woman. 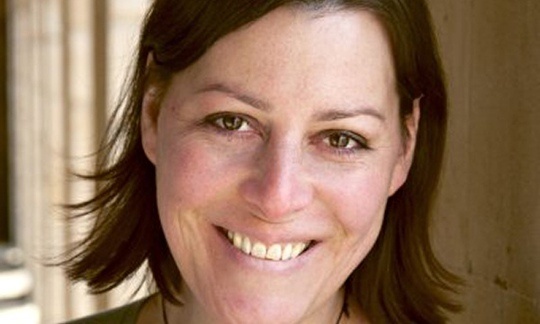 Judy is to be played by actor and stand-up comedian Rebecca Root, who underwent transition surgery in 2005. While it is still rare to see trans actors playing trans characters on British screens, Root follows in the footsteps of comedian Bethany Black, the first trans woman to play a recurring trans character on TV, Helen in Russell T Davies’s Channel 4 comedies Banana and Cucumber. Sophie Clarke-Jervoise, executive producer of Boy Meets Girl, said the sitcom was a commendably progressive commission by the BBC. “I think it is a real step forward. I just think people really just don’t know much about this. The idea that a trans woman might be in an everyday heterosexual relationship without it raising comment – I don’t think that is something that people really think about. Root will be starring alongside Misfits actor Harry Hepple, who will play Leo, while Denise Welch will play Pam, Leo’s mother. Filming for Boy Meets Girl, which the BBC says it hopes will become a mainstream comedy success in the same vein as Gavin and Stacey, has begun around Manchester and the show will air on BBC2 later this year. Kristian Smith, commissioning editor, said the sitcom was greenlighted “ in the spirit of it just being a funny, lovely piece and being a natural portrayal of a relationship – it’s just this time it happens to touch upon a transgender experience as much as family and a love story. And that just brings wonderful colour to it. February 5, 2015 in Interviews, News Stories.